Malaysia’s prime minister, Najib Razak – a British-educated technocrat with a reputation for opulence – is at the center of an unprecedented scandal. A sovereign wealth fund established to develop lucrative industries and boost economic growth in Malaysia, the 1Malaysia Development Berhad (1MDB), has incurred more than $11 billion in debts and is at the center of a political and financial controversy. In July, an exposé in the Wall Street Journal published documents sourced from an ongoing government probe into 1MDB that traced nearly $700 million being channeled into Najib’s personal bank accounts from entities linked to the indebted fund. 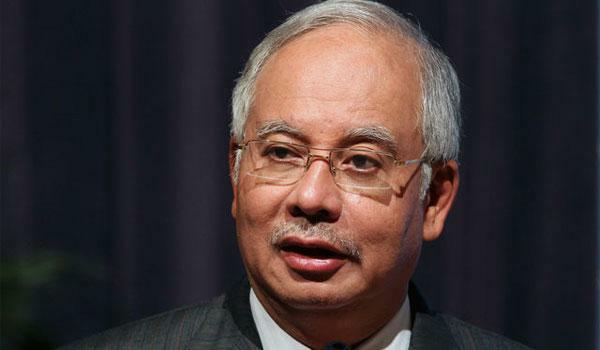 The fund paid inflated prices for assets and laundered money that Najib used to fund his campaign in the 2013 general elections, according to the source. The allegations against the prime minister caused an uproar in Malaysia on both sides of the political divide. Najib denied wrong-doing and dismissed the report as political sabotage. In the days that followed, special task forces raided the offices of 1MDB and three linked companies, freezing bank accounts and seizing documents that could have paved the way for possible criminal charges against Najib and others. Mahathir Mohamad, the highly influential former premier who led Malaysia for over two decades, led calls for Najib’s resignation in a series of stinging blog posts and interviews. Najib’s own deputy prime minister, Muhyiddin Yassin, joined those calling for a sincere explanation of the 1MDB debacle, warning that the issue had badly damaged the ruling party’s fledgling credibility. Before the month’s end, Najib reshuffled his Cabinet, firing Muhyiddin and promoting right-wing firebrand Ahmad Zahid Hamidi, who also holds the portfolio of home minister, responsible for overseeing law enforcement. Abdul Gani Patail, the Attorney-General involved in the ongoing special task force probing 1MDB, was also replaced. The head of Malaysia’s anti-corruption agency was sent on leave, while investigators from the central bank were intimidated with accusations of leaking government secrets. Four members of Parliament’s Public Accounts Committee were promoted into the executive branch of government. Having dismantled the original task force charged with investigating 1MDB, Malaysia’s anticorruption body has recently cleared Najib, maintaining that the money did not come from a government-owned development fund, but from a legal political donationprovided by an Arab royal family to help ensure the election victory of the ruling party, the United Malays National Organization (UMNO). Although public confidence in Najib’s leadership has plummeted, the prime minister has managed to maintain the allegiance of important figures in the UMNO hierarchy. Dissatisfaction is increasing among the party ranks, as evidenced by a recently lodgedlawsuit by UMNO members calling on Najib to account for the chronology of events involving the $700 million transfers into his account and to ultimately surrender the funds. Since coming to power in 2009, Najib has positioned himself as a business-friendly reformer, preaching inclusivity and moderate Islam as he courted Western investment, distancing himself from his predecessor Mahathir’s adversarial relationship with Washington and activist foreign policy. Najib elevated political and economic ties with the United States and has supported the controversial US-led Trans-Pacific Partnership agreement, while carefully balancing and expanding trade relations with China. On the domestic front, Najib has struggled to sustain popularity throughout his tenure, despite abolishing provisions for detention without trial and enabling limited reforms that created more space for dissent and freedom of assembly. During the 2013 general elections, the ruling coalition secured its slimmest victory ever, losing the popular vote to the opposition coalition for the first time in more than four decades. Despite his administration’s message of moderation, inclusivity and harmony among the nation’s many races, Najib has been reluctant to chastise figures that espouse bigotry and inflammatory language. He has been widely accused of allowing right-wing fringe groups to influence the state-sanctioned interpretation of Islam in an attempt to consolidate support among rural Muslim voters that have traditionally backed the ruling party, UMNO. Najib’s tenure has been more generally beset by accusations of scandal and negative perceptions of his wife, Rosmah Mansor, whose lavish extravagance and luxury purchases of designer handbags and jewelry have fuelled the ire of Malaysians struggling with rising costs following broad energy subsidy cuts and a highly resented consumption tax on goods and services. Malaysia’s economy has generally performed well during Najib’s tenure, but the ongoing political crisis has clouded the country’s growth outlook. Foreign investors are limiting their exposure to Malaysian capital markets and have sold-off more than $3 billion in shares, while the ringgit has hit a 17-year low and has become the worst performing currency in Asia. Malaysia’s Central Bank has begun digging into its foreign exchange reserves to shore up the undervalued ringgit against a prolonged period capital flight. Given Malaysia’s relatively strong economic fundamentals – in spite of ample government debt and smaller trade and capital account surpluses – the accelerated surge in capital outflows is mainly attributable to the political storm brewing over the unresolved 1MDB question. An increasingly turbulent outlook can be expected in the near-term if calls for Najib’s resignation intensify into sustained street protests, as expected by many. Mahathir and Muhyiddin, both influential political heavyweights, have expressed the belief that UMNO would not be able to secure a victory at the ballot box if snap polls were held. Najib has lost the confidence of powerful figures among the ruling party and has emerged unshaken from the constant barrage of attacks from his predecessor. That he has still managed to maintain cohesion among UMNO in such conditions is a testament to the web of influence the prime minister has built through his lenience, favors, lucrative appointments and personal largesse. While Mahathir wields notable sway over hearts and minds in UMNO, it has been more than a decade since he formally left politics and his influence is receding among the party’s top brass. Najib has not been openly challenged and derives his resilience from reshaping the party to serve his personal interests using patronage, money-politics and an emphasis on loyalty rather than competence. He has created multiple stakeholders whose careers depend on maintaining the status quo. Though there is a lack of internal debate throughout much of UMNO, reports indicate that criticism of Najib is widely exchanged privately among party members. UMNO’s internal party elections – the main platform through which a challenger can vie to unseat the prime minister – have been deferred until after the next general election slated for 2018. Though party elections have been postponed on previous occasions under past premiers, the decision to do so within the current political climate seems crafted to allow the current office bearers to buy time. For UMNO, a party that is grappling to rejuvenate itself and reverse its declining political relevance, deferring party elections to favor the old guard means that fewer fresh faces can emerge as appealing candidates. This would be a strategic blunder for a party desperate to return to power. The other means through which Najib can be ousted is through a parliamentary vote of no-confidence, but several obstacles still remain. At least half of Malaysia’s 222-member lower house of Parliament would need to sign a statutory declaration to support a no-confidence vote. This appears unlikely at this stage, as Najib still has the support of UMNO’s various divisions. According to Zahid Hamidi, the newly appointed Deputy PM, an UMNO leader – widely believed to Razaleigh Hamzah, a former finance minister – recently attempted to field support for a no-confidence vote that could have brought together a unity government with MPs from both sides of the political divide. Though such a procedure is constitutionally legal, Zahid claimed that UMNO would never let such as outcome occur. At this juncture, there is every indication that Najib has no intention of resigning. He will use all the tools in his arsenal to secure his position. Being seen as a liability may not be enough to mobilize the UMNO rank and file, an alternative faction would have to emerge to lead the charge. Ousted Deputy PM Muhyiddin remains UMNO deputy president and wields a high degree of public support, but has thus far voiced his reluctance to challenge the leadership. Malaysians from both sides of the divide strongly feel that the actions of Malaysia’s prime minister have diminished his credibility beyond repair, that the government’s response to the scandal proves an element of truth to the allegations, and that evidence is being withheld from the public. The calls for Najib’s resignation are only going to get louder and Malaysia will be less stable as a result.